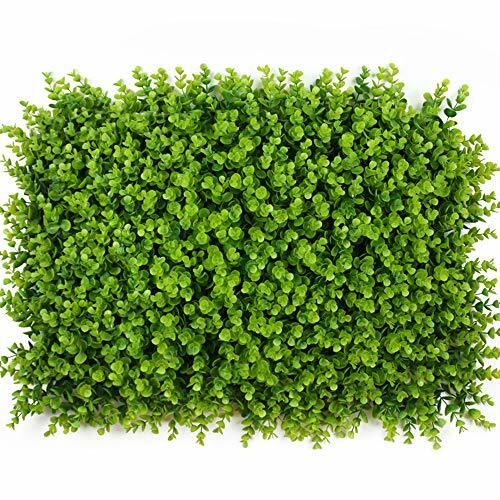 ONXO Artificial Topiary Hedge Plant Greenery Panels Suitable for Both Outdoor or Indoor, Garden or Backyard and Home Decorations (Light Green Boxwood,16x24inch,1PC Sample) by ONXO at Outlet Shopping Guru. Hurry! Limited time offer. Offer valid only while supplies last. Real Leaf Technology Provide Unmistakably Lifelike Results? Made from lightweight yet super-strong high density polyethylene that's soft to the touch. Eco-friendly and does not release toxic chemicals. Recyclable. If you have any questions about this product by ONXO, contact us by completing and submitting the form below. If you are looking for a specif part number, please include it with your message.